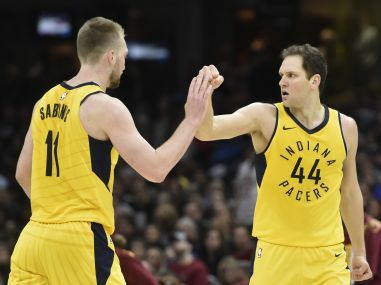 Los Angeles: Bojan Bogdanovic scored a playoff career-high 30 points as the Indiana Pacers stormed back from a 17-point halftime deficit to edge the Cleveland Cavaliers 92-90 in game three of their NBA playoff series. The win gives the Pacers a 2-1 lead in the first round clash and they can take a stranglehold on the Eastern Conference series with a win Sunday in Indianapolis. "We've been resilient all year. We've overcome adversity," said Pacers Thaddeus Young. Croatia's Bogdanovic scored 19 points in the second half, finishing seven of nine from beyond the arc. Victor Oladipo added 18 points, six rebounds and seven assists in the win. Bogdanovic scored several different ways but he was also asked to carry a heavy load on defence. 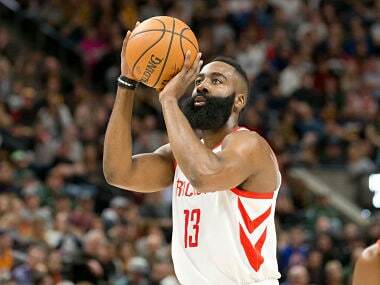 His double-duty performance included guarding superstar LeBron James, who finished with 28 points, 12 rebounds, eight assists and six turnovers. "Everybody thought before this season that I cannot play defence," Bogdanovic said. "I don't say that I'm playing great defence, but I'm working hard to make it tough for every player I'm guarding." James joined Michael Jordan as the only players in NBA history with 100 double-doubles in the post-season. Jordan had 109. 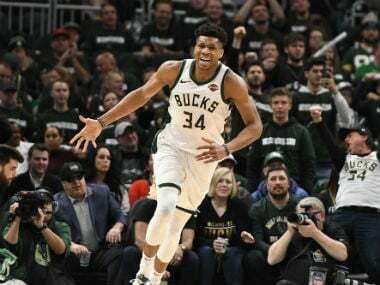 James tried unsuccessfully to rally his team twice in the final minutes as the three-time defending Eastern Conference champs were outscored 52-33 over the final two quarters. 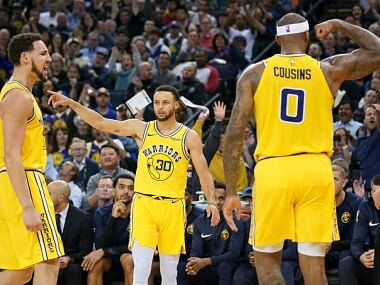 "We have to regroup and figure out how we can be better in game four," James said of the Cavs who were 39-0 in the regular season when leading after three quarters. 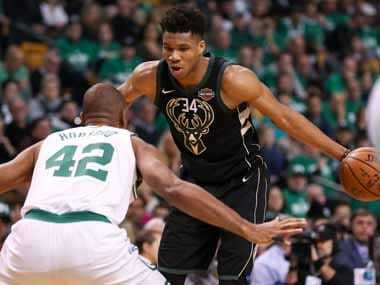 Elsewhere, Khris Middleton scored 23 points, Giannis Antetokounmpo tallied 19 and the Milwaukee Bucks used a dominating first half to rout Boston 116-92, cutting the Celtics series lead to 2-1. Eric Bledsoe and Jabari Parker each added 17 for the Bucks, who held the Celtics without a field goal for nearly an 11-minute stretch of the first half. The Bucks used a balanced attack Friday as reserve centre Thon Maker scored 14 points. Guard Matthew Dellavedova clamped down on defence holding Celtics point guard Terry Rozier to nine points on just two-of-seven shooting. "That's what you need, is the energy first," coach Joe Prunty said. Al Horford scored 16 for the Celtics, who got no closer than 76-62 with three minutes left in the third quarter. The Celtics will be looking to get off to a better start in game four on Sunday in Milwaukee as a Bucks' win would level the series 2-2. In Washington, Bradley Beal and John Wall were the best players on the floor combining for 56 points as the Wizards crushed the Toronto Raptors 122-103, narrowing the Raptors' series lead to two games to one. Elsewhere, the league slapped Miami Heat's Justise Winslow with a $15,000 fine on Friday for stepping on the facemask of Philadelphia 76ers Joel Embiid in their playoff series. Winslow intentionally stepped on Embiid's mask in the second quarter of game three which was won by the Sixers.